Are you locating a defendant, witness, or additional party for the purpose of satisfaction of a court order, satisfaction of a prerequisite for searching an asset, service of process, or collection procedure? Bombet, Cashio, Darbonne & Associates have professional Baton Rouge based skip tracing investigators that you can count on. We perform our skip tracing by collecting information on the person being questioned. All the recovered information will be verified, analyzed, and used in order to identify the location of the person. Do you need to search a debtor who defaulted on his/her payments? Is your client a defendant in a court case and has missed a hearing? 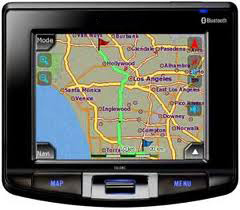 Are you in need of professional assistance for locating someone so as to inform them about an inheritance or assets? Do you have to look for a present address for a member of family who must be served with some court documents like divorce or child support? Worry no more because our Baton Rouge skip tracing investigator can do it all. Our skip tracing service involves analyzing and gather a great amount of information or even a little amount of data, both of which have their own set of benefits and drawbacks. While most skip tracers are now heading online to gather data regarding the whereabouts of people, our team of professional Baton Rouge skip tracing investigator functions through social engineering – asking, finding, and connecting people who may have information about the subject. It is our job to use any number of databases and resources to collect the necessary information. We access credit reports, job applications, utility bills, air travel records, public tax information, credit card applications, phone number databases, courthouse records, vehicle registration or driver’s license departments, loan applications, public records databases, criminal background checks, and department store loyalty cards. We have provided services to big corporations like investigative firms, debt collection agencies, and even law enforcement agencies, among other industries. 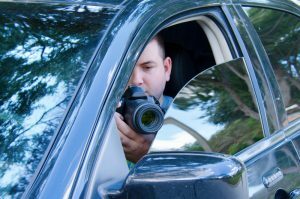 After we gather pertinent information and cleared your objectives and goals, our Baton Rouge skip tracing investigator has knowledge and necessary techniques for getting a precise location for the person. Surveillance – We will employ surveillance to understand the habits of the person in search, gathering accurate data on the location of their workplace and residence, along with where they frequently went and activities they are involved in. Records research – Visiting libraries, public service locations, and courts; getting access to databases; checking marital records; and verifying with the post office may all be included in the investigation. We will also verify the records validity. 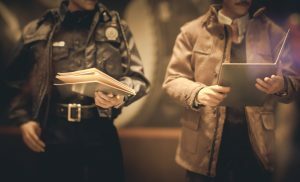 Background Investigation – Depending upon the case, our Baton Rouge Skip tracing investigator will do a background investigation in order to better understand the person they are searching for. This would include interviews with former colleagues friends, and family members, and looking into the criminal records, etc. With our skip trace service, you will be able to track down the contact information and location of a person. We can help you skip trace for a variety of reasons that would include debt recovery, service of process, student loan recovery, child support, judgment enforcement, witness location, gas and oil lease property owners, business locates, collateral locations, heirs, business owner locates, and update the entire borrower and customer contact information, to name a few.